When you interact with someone senior, you assume that the person will be more mature than you. Maturity is relative. It has to be experienced to be believed. Age and experience does not necessarily guarantee maturity in anyone. I have met a lot of young students and aspiring professionals, who have displayed exceptional maturity. On the other hand, I have met senior professionals, who are yet to mature. So, how does one deal with immaturity ? In my view, maturity is a state of mind. It has to evolve for a person. Some of us gain maturity early while others take more time. It is our ability to adapt to different kinds of persons and their relative level of maturity that makes us successful. We may sometimes take light hearted humour as informal. Then it may lead to informal interactions and then when one fine day informality is misunderstood by the other person, it hurts us and is termed as immaturity. Does it mean that we should avoid informal interactions ? I would not say so. I always believe in creating a work environment, where informality prevails. We should not only be physically accessible to our team members and colleagues but also mentally and emotionally at all times. However, we need to learn where to draw the line. It is easier said than done. One needs to learn by experience where informality ends and formality begins. It is a very thin line and we are bound to err many a time. So this colleague asked me – “How to deal with the immaturity of his key stakeholder?”. One needs to gauge the behaviour of others and learn to draw the line. The line is not dependant on age, experience or seniority. It is based on relative maturity. One learns to draw the line by experience and most times by facing the consequences. It is painful at times but one learns by facing it in real life. I have seen this phenomenon at work and even in personal life. It happens in the family and society as well. We find unpredictable and irrational behaviour by very senior people. It is difficult for youngsters to deal with them. On the other hand, we find very mature and competent young people who wear maturity on their shoulders even before they gain enough experience. 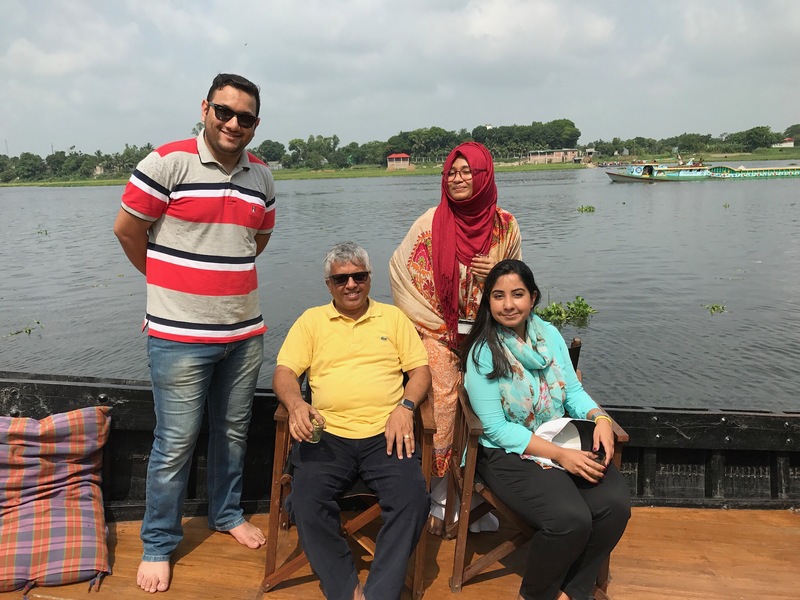 I had a lot of questions from these young colleagues (as in the photo above) during a recent team building workshop on a boat in Bangladesh. My learning in life is to moderate yourself than attempt to moderate the other person. It is not easy for us to mould the behaviour of others. It is easier to adapt our behaviour to suit the style of the other person. As I said earlier, failure may be the stepping stone to success in many situations but there is nothing wrong with that too. After all every sportsperson wins after losing many games. Further, no sportsperson gives up after losing, even though the road to victory may be long and ardous. Lets us begin the change today. Whom should I blame ? I completely agree with you on the subject…. It’s also true that though there’s a thin line between formal n informal, the crossing over to informal beyond expected level opens the door to slipping to maturity….and that confuses youngsters… I have been experiencing this in all fronts of my life…. Once I had asked my mother and she was quick to respond saying…. keep your behavior n approach positive, things would be less difficult….